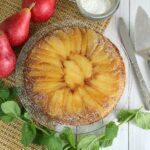 This recipe for Caramelized Pear Upside Down Cake might be my favorite dessert recipe of all time, which is no small feat! It is simply heaven on a plate. 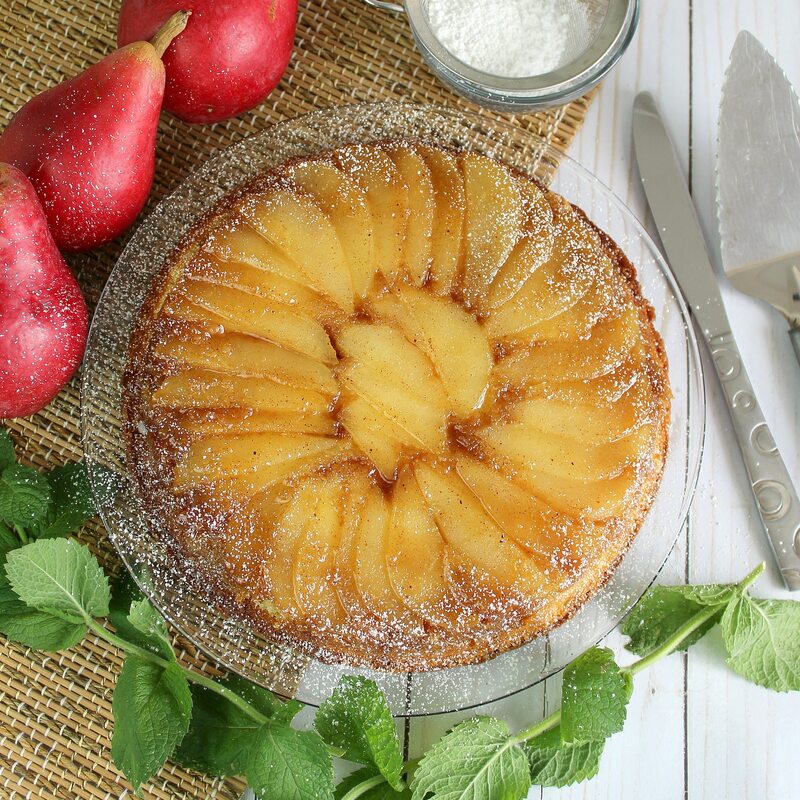 Between the sweet-but-not-too-sweet pear flavor and the perfectly-imperfect texture of the cornmeal in the cake, it’s so good I can’t even think of anything more to say. Step 1: Preheat the oven to 350 degrees. (I always use the convection setting on my oven because it seems to cook more evenly.) 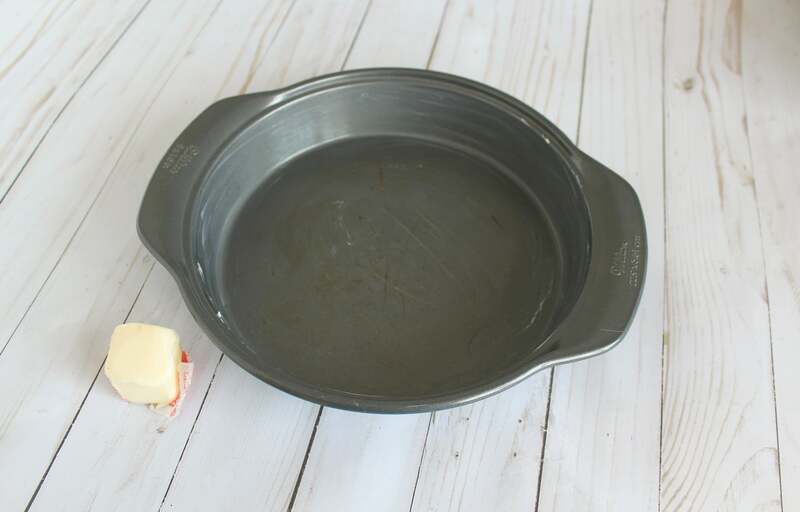 Lightly butter the sides of a 9-inch round cake pan. Step 2: Combine the 4 Tbsp butter, brown sugar, cinnamon, and nutmeg in a small saucepan and heat to boiling, then remove from heat. Scrape the mixture into the prepared pan and spread evenly. Step 3: Then arrange the pears over the butter mixture and press down. 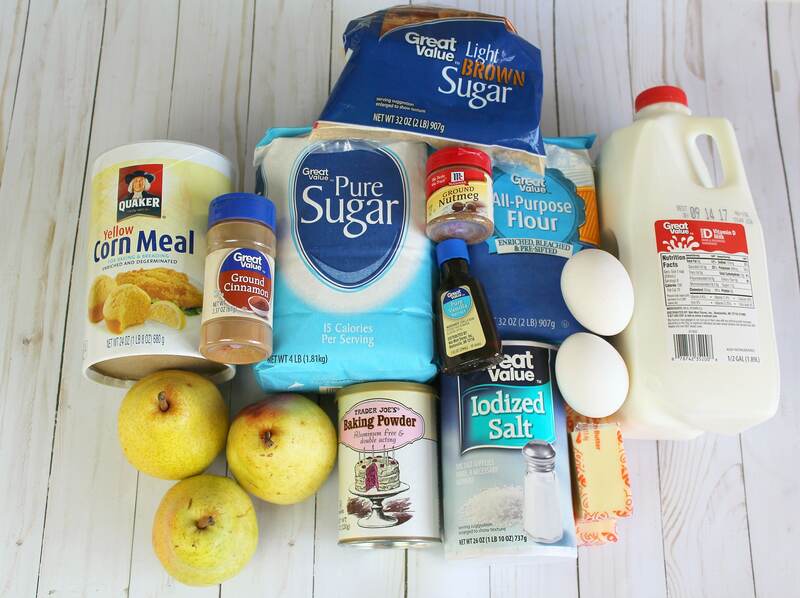 Step 4: Beat the 6 TBSP butter and white sugar with an electric mixer until creamy, about 1 minute. Add the eggs and vanilla and beat until very smooth and fluffy, about 2 minutes. Step 5: Sprinkle in the flour, cornmeal, baking powder, and salt, and beat 10 seconds. Pour in the milk and beat just until the batter is evenly moistened, about 1 minute. Pour the batter over the pears, then carefully lift the pan and bang back down on the counter once or twice to release any air bubbles. Step 6: Bake approximately 35 minutes (watch closely if using convection setting! ), or until a knife comes out clean. 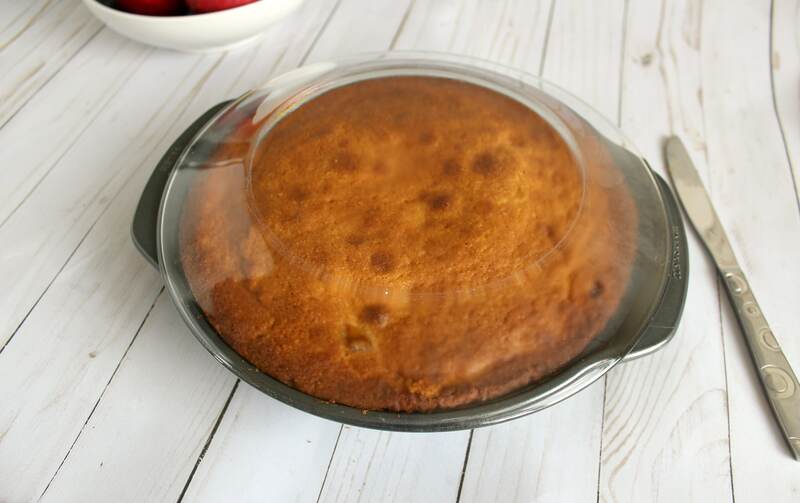 Run a knife along the outer edge of the cake to loosen it from the pan. 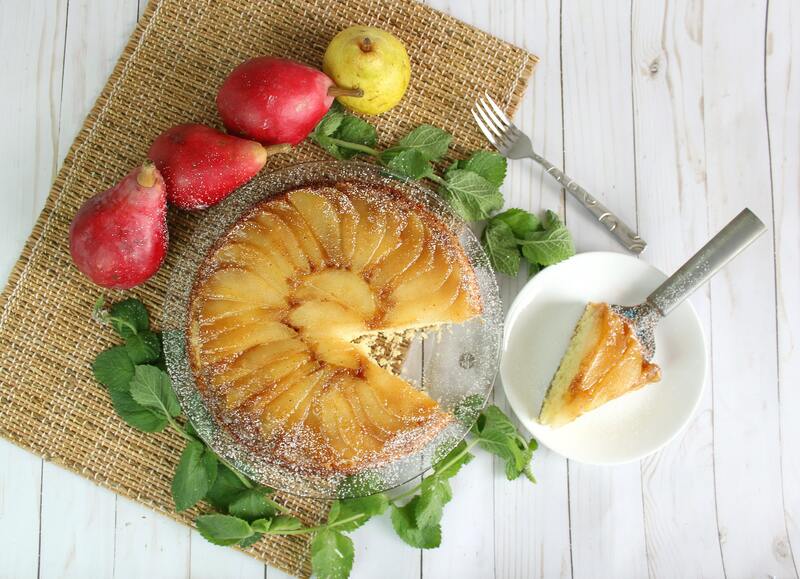 Place a plate over the cake, then flip it over to invert the cake onto the pan. Step 7: Let the cake cool completely before serving. Best served the same day. Quite possibly the world's most perfect dessert. Preheat oven to 350 degrees. (I always use the convection setting on my oven because it seems to cook more evenly.) 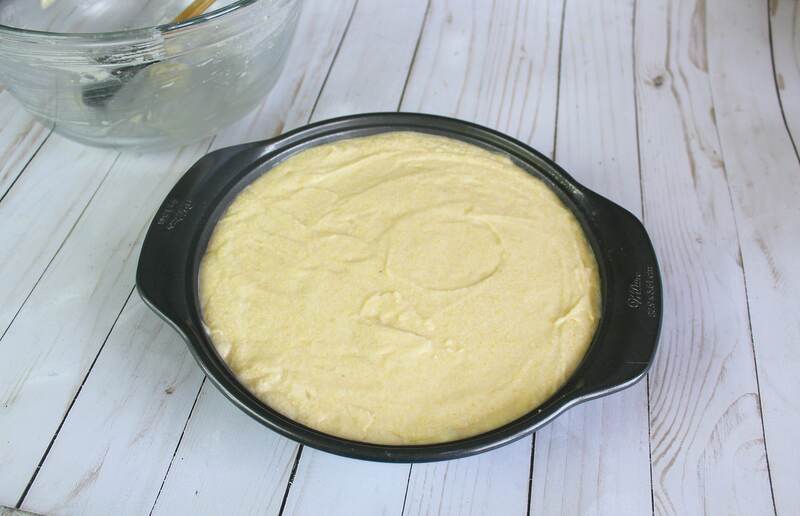 Lightly butter the sides of a 9-inch round cake pan. 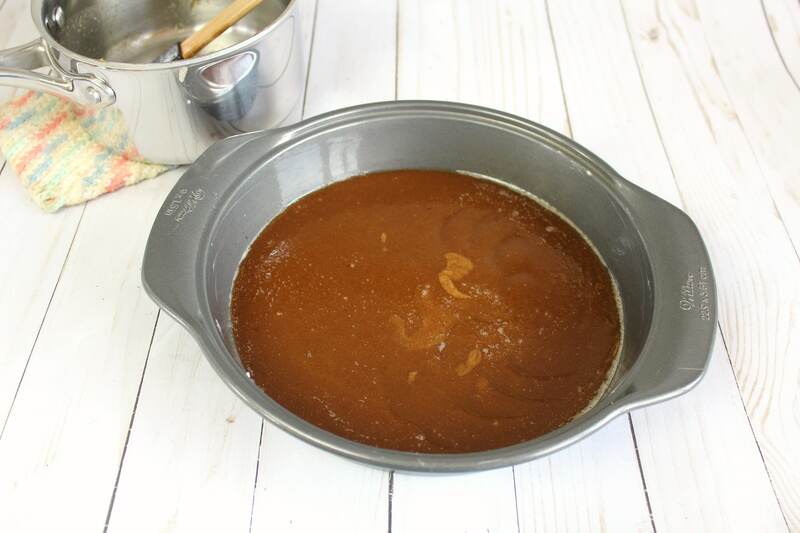 Combine the 4TBSP butter, brown sugar, cinnamon and nutmeg in a small saucepan and heat to boiling. Remove from heat and scrape mixture into the prepared pan spreading evenly. Next, arrange the pears over the butter mixture and press down. 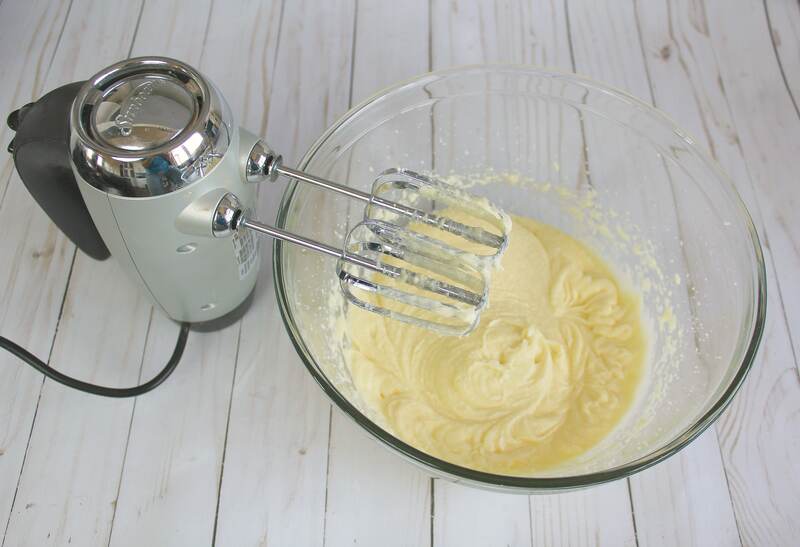 Beat the 6TBSP butter and white sugar with an electric mixer until creamy, about 1 minute. Add the eggs and vanilla and beat until very smooth and fluffy, about 2 minutes. Sprinkle in the flour, cornmeal, baking powder and salt, then beat for 10 seconds. Pour in the milk and beat just until the batter is evenly moistened, about 1 minute. 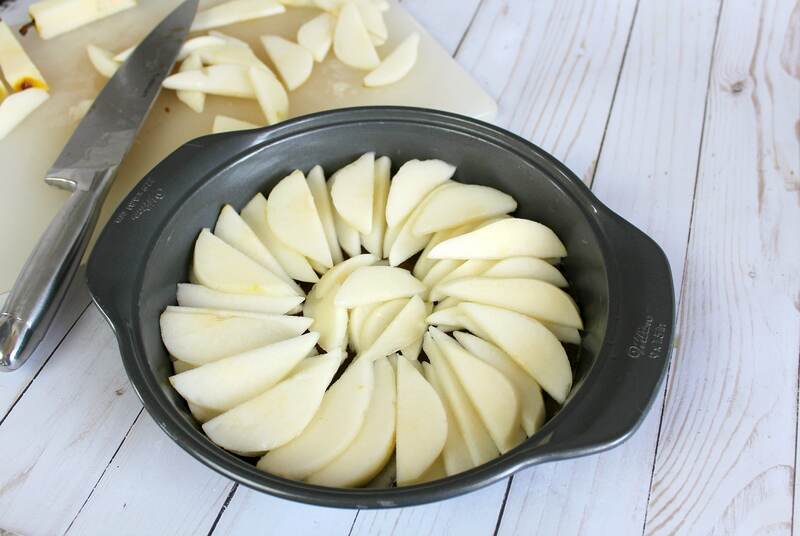 Pour the batter over the pears then carefully lift the pan and bang back down on the counter once or twice to release any air bubbles. Bake approximately 35 minutes (watch closely if using convection setting! ), or until a knife comes out clean. 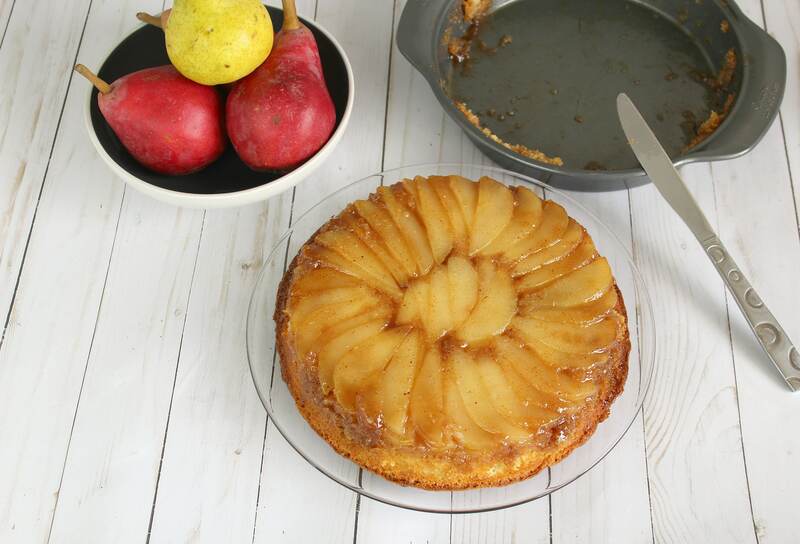 Run a knife along the outer edge of the cake to loosen it from the pan. 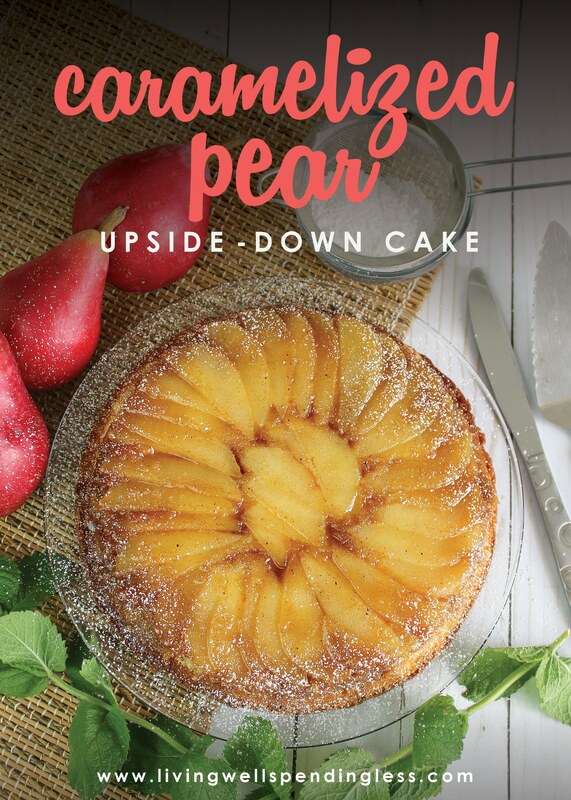 Place a plate over the cake, then flip it over to invert the cake onto the pan. Let the cake cool completely before serving. Best served the same day. Hi, is this recipe different from the original post of the same recipe? It looks like the wording in the post is almost identical as well… would love to try a new recipe, but I’m noticing that there are many times posts are just repeated from past posts that I’ve already tried. This looks really nice. A beautiful cake. I have some apples here. Can I use them instead of the pears? Want to try this recipe for my family. Tiana, it should be fine with apples! Oh, boy, I hope this turns out ok. There’s a problem with the amount of butter. In the picture tutorial, it says 10 tblsp butter. I put ALL of it in the brown sugar mix, then it said to put butter with the white sugar. Then the recipe under the pics says only 4 tblsp butter. Still doesn’t say how much to put with the white sugar. I had already used all 10 tblsp in the brown sugar, so I took a guess and used 6 with the white sugar. Fingers crossed, but can you fix this? I took this last year for Thanksgiving (don’t remember the butter issue). People raves about it. The recipe looks amazing and I’m going to try it today. It’s no biggie, I just want to let you know when you print out the recipe it doesn’t specify how many Tbsp of butter for the caramelized (4) vs the cake parts (6) so I had to pull it up again and read through to find it. Thanks for posting this. I can’t wait to make it!